When you saw smart glow features what comes to your mind?? 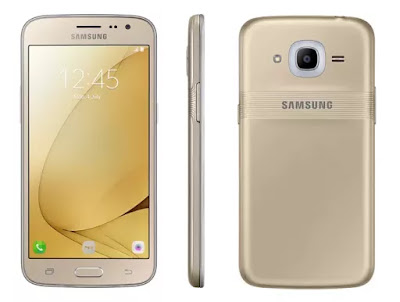 I will be kind enough to explain what this entails, but before then, Samsung Galaxy J2 is the new smartphone set to hit the market anytime soon, and as we all know, the Galaxy J family seems to be a more affordable Samsung device with is brother Galaxy J3 already selling hot for a while now. Talking about the smart glow features, its more like the led notification light which blinks each time you have any notification on your phone ( that’s if your phone actually as one), on the brighter side, Smart phone makers are gradually moving away from the led notification to the Smart glow feature. Read; Unveiling Oukitel U13 Pro Powerful Smartphone With 7000mah battery, FingerPrint Scanner. Smartphone makers like Sony and Oppo have actually toyed with the idea of a stylish glowing strip of light at the bottom that appears to have struck a chord with users. However in some device the same functionality has been integrated into the capacitive home button, “smart glow” otherwise known as breathing or pulsating light, is what is said to feature as Samsung Galaxy J2 notification function. Now you code what I meant by the smart glow, its the popularly known breathing or pulsating light integrated to your home button, Samsung, which seems to have been stuck with the front LED light for a long time is considering introducing something new to its Galaxy J2. Interestingly, the Samsung Galaxy J2 will be its first smartphone to come with such new trend of notification, The Samsung Galaxy J2 (2016) is the expected successor to last year’s Galaxy J2 will be unveiled in a week’s time in India after which ut would be brought to other parts of the world. However, this new feature will be expected to be made available on newer Samsung smartphone Other than the Galaxy J2 (2016). Unveiling Oukitel U13 Pro Powerful Smartphone With 7000mah battery, FingerPrint Scanner.